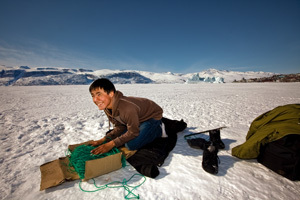 Arctic inhabitants spend vast amounts of time on land and at sea. Drawing on personal experience, information shared with others, and knowledge handed down through generations, Arctic residents recognize subtle environmental changes and offer insights into their causes. They are community-based monitors by virtue of their day-to-day activities. 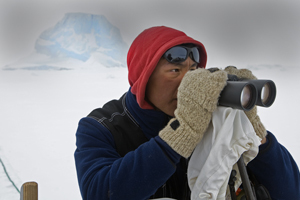 In addition to their inherent community based monitoring (CBM) capacity, Arctic residents can employ standard scientific monitoring procedures in the practice of citizen science, thereby extending the reach and effectiveness of programs that rely on a limited number of trained scientists to carry out monitoring. Indigenous and other Arctic peoples wish to impart their environmental understanding to scientific discourse, not only because they have a great deal to offer, but also because this exchange represents an important step towards full participation in resource management activities. 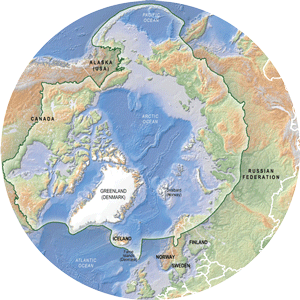 The CBMP believes that CBM has significant contributions to make to circumpolar monitoring efforts. As such, all aspects of CBMP development have strong consideration and integration of CBM. To incorporate data, interpretation, and expertise from CBM in the CBMP’s efforts to detect, understand and report on significant Arctic biodiversity trends. To make CBMP data, interpretation, and expertise available to CBM efforts. To promote the extension and/or replication of established CBM approaches and programs to other regions of the Arctic in conjunction with existing monitoring networks. CAFF's Permanent Participants and other Indigenous and local organizations desire a strong CBM element within the CBMP. The communities of the Arctic region will directly benefit from the powerful information gathering and dissemination approach that the CBMP offers. Maximizing the contributions of circumpolar peoples to the CBMP will help ensure that the program is relevant and responsive to local concerns.